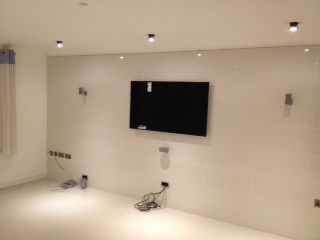 This refurbishment saw the removal of a gas fire and the installation of a multimedia centre. 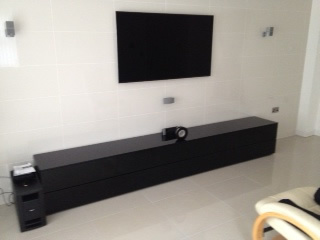 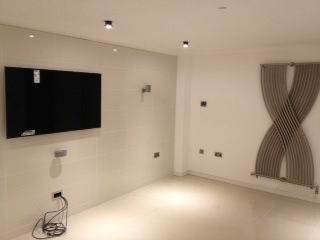 This involved running cabling within the walls for the speakers and control boxes. 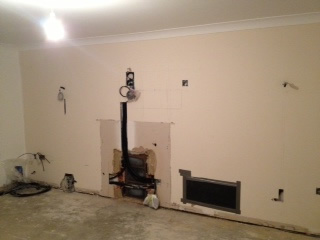 The wall in the living room was tiled along its length. 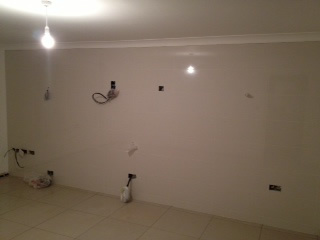 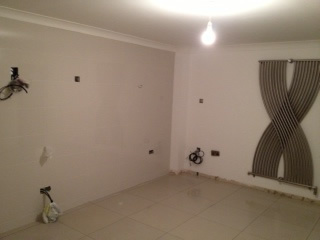 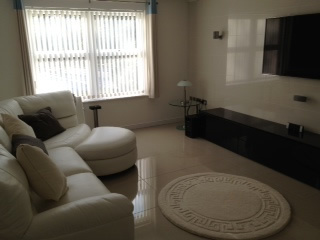 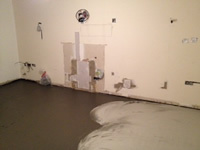 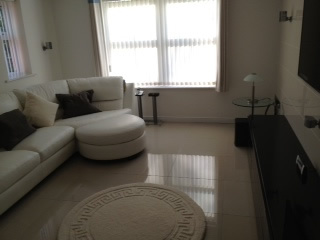 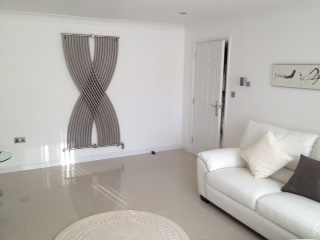 The living room floor was also tiled with electric underfloor heating fitted. 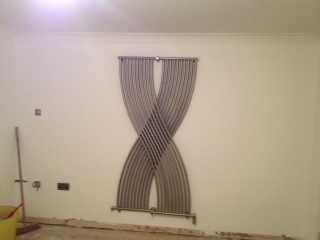 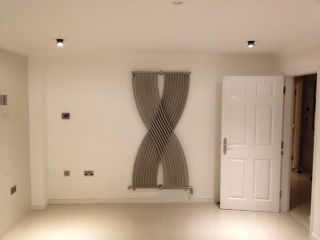 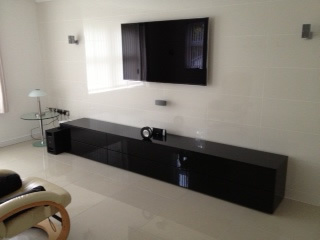 Downlights were fitted to the ceiling and a contemporary radiator fitted.